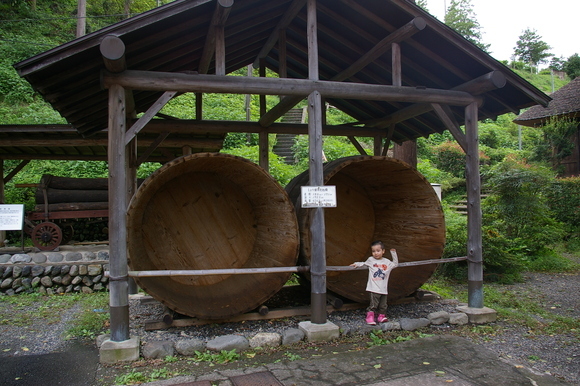 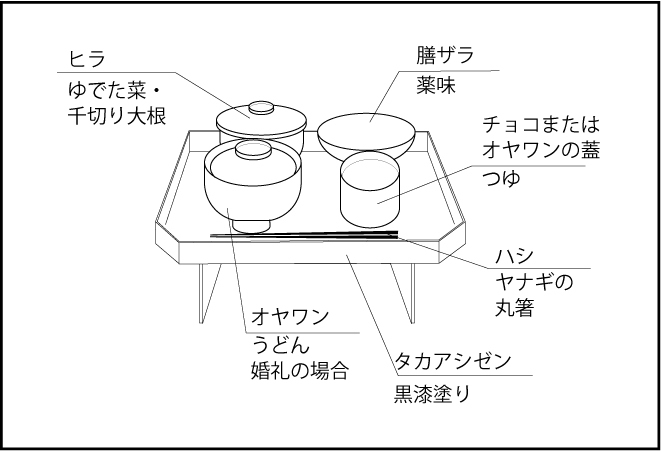 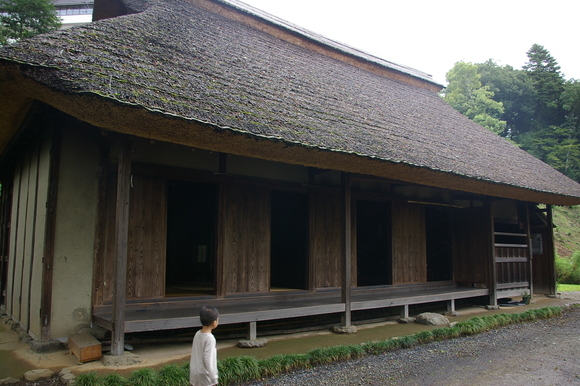 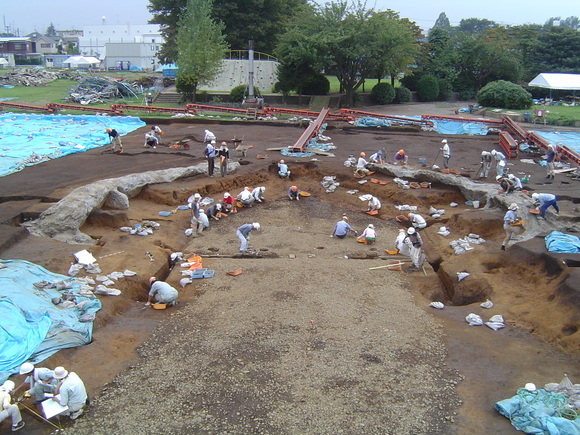 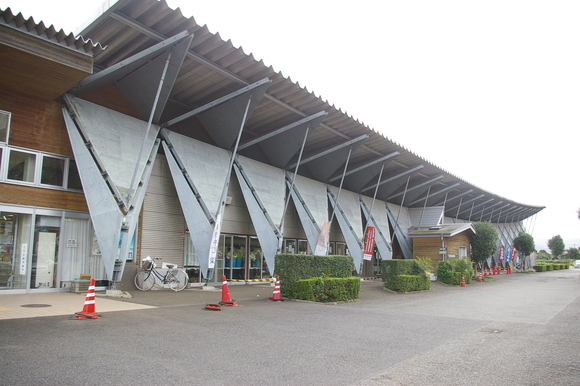 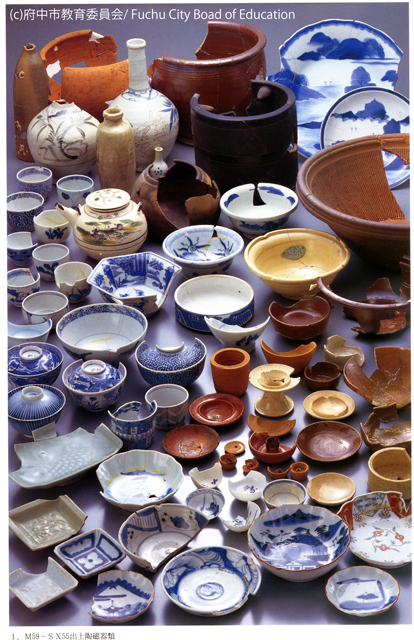 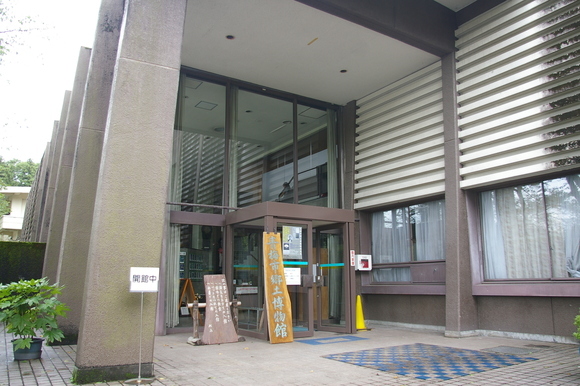 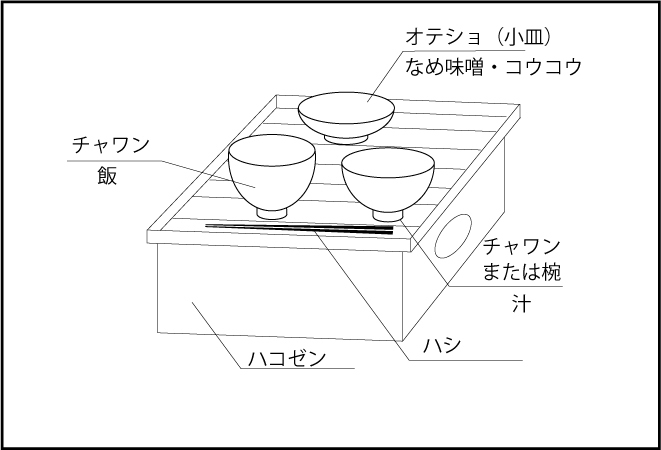 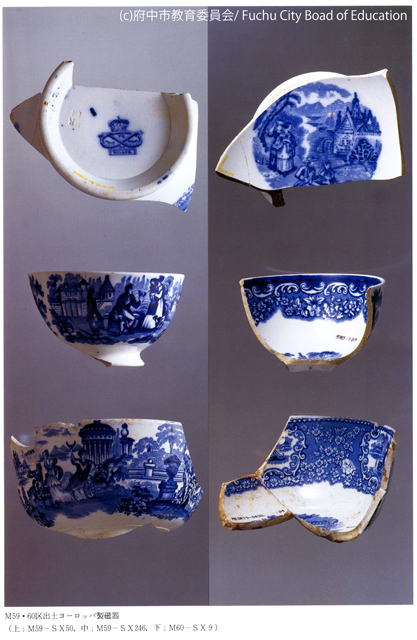 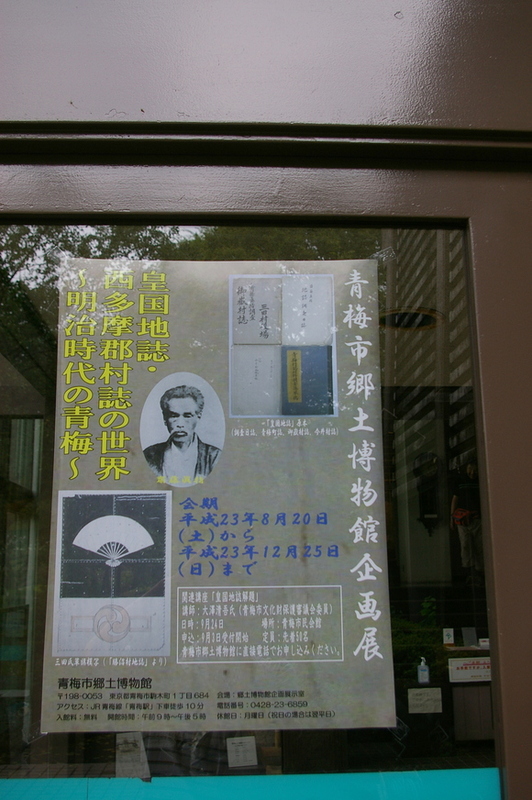 This museum has also outdoor exhibition of Early Modern Age life, such as large barrel for Soy sauce brewing (photo#3) and a restored old house building (photo#4). 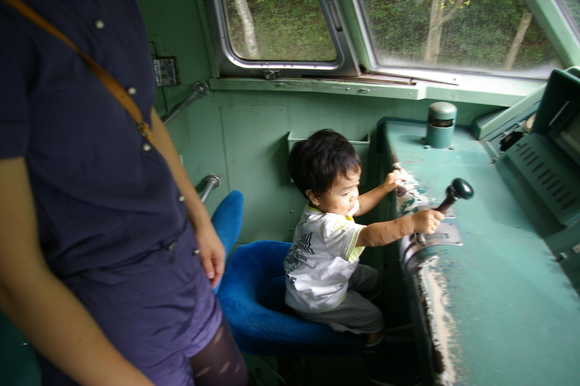 Aki enjoyed these exhibition and some small wildlife (photo#5). 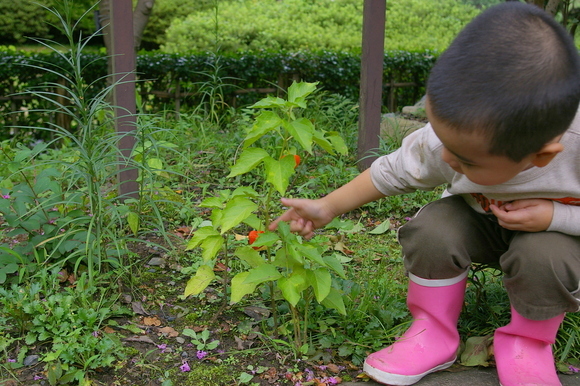 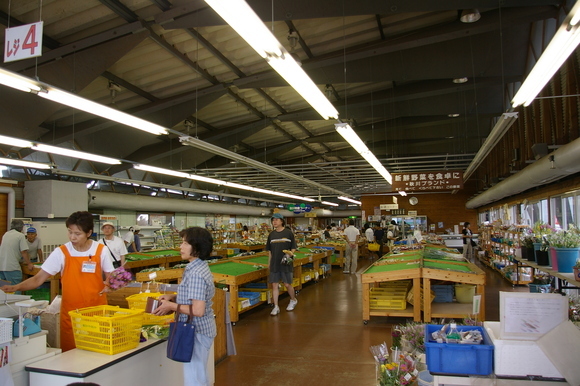 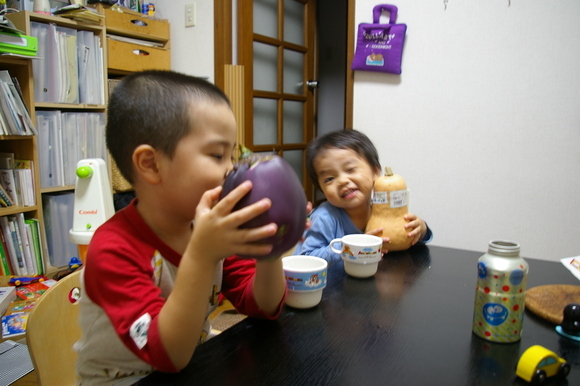 Then we were coming to Akigawa farmers market (photos#8,9). 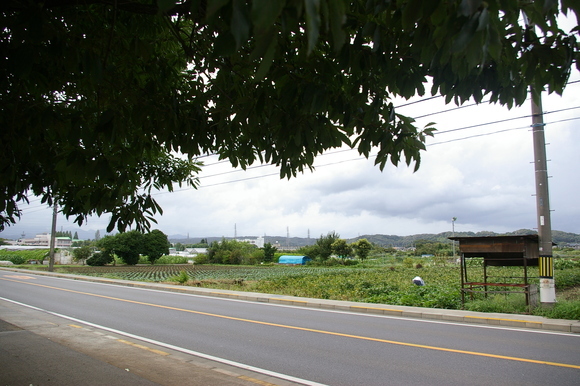 We got many fresh vegetables (photo#10). 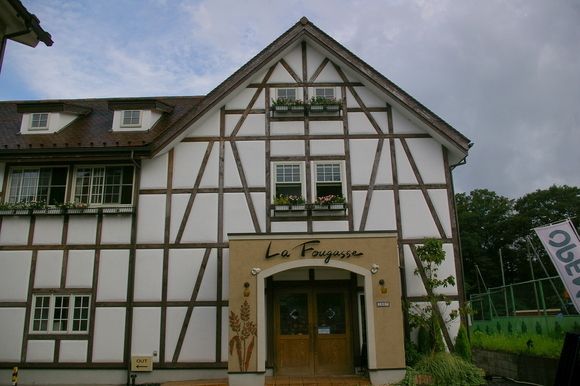 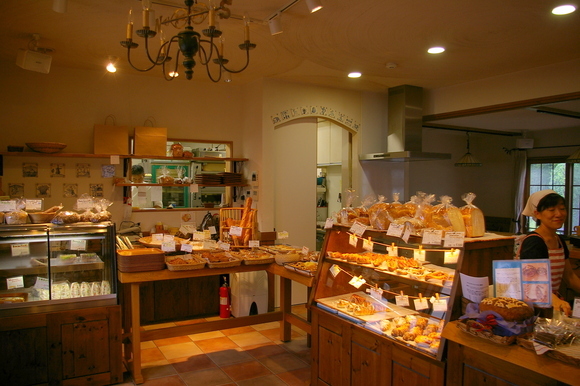 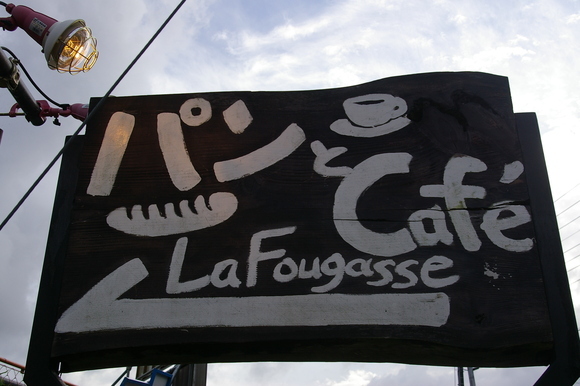 Also we were coming to La FAUGASSE, baker and cafe to buy tasty breads (photos#10-12). 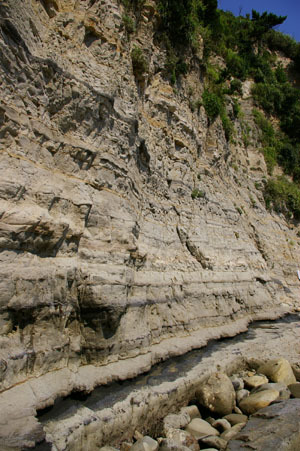 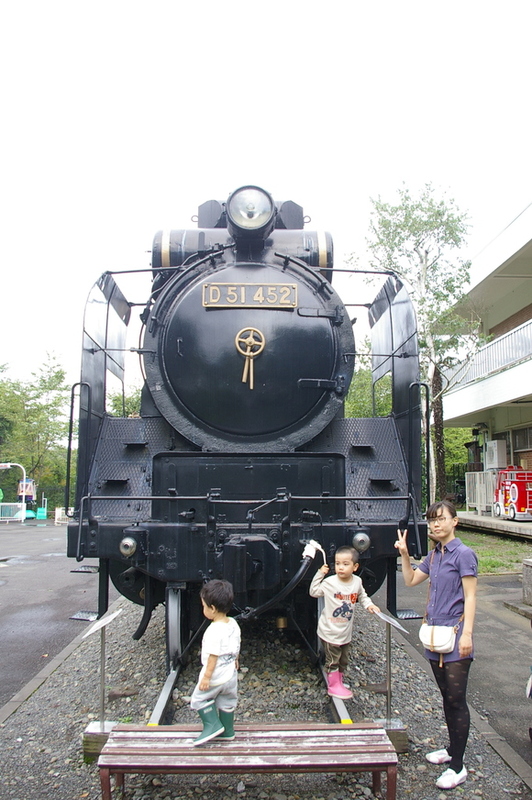 It was really nice one-day trip to westward of Tokyo. 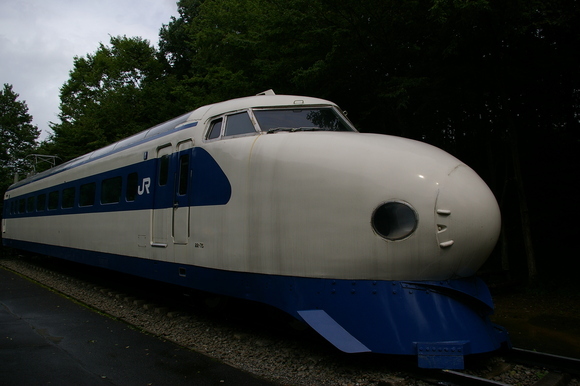 There are old style Electric Locomotive (photo#1) and the first type of Shinkansen (High-speed Railway) Car (photos#4-5). 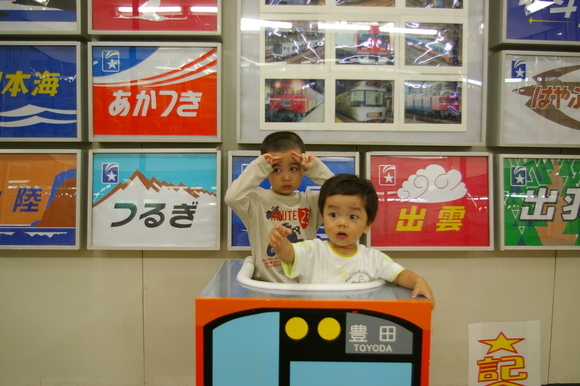 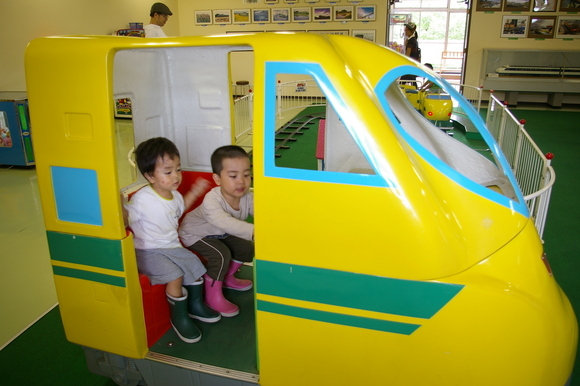 We can step inside Shinkansen Car: passenger room(photo#6) and operating room(photos#7-8). 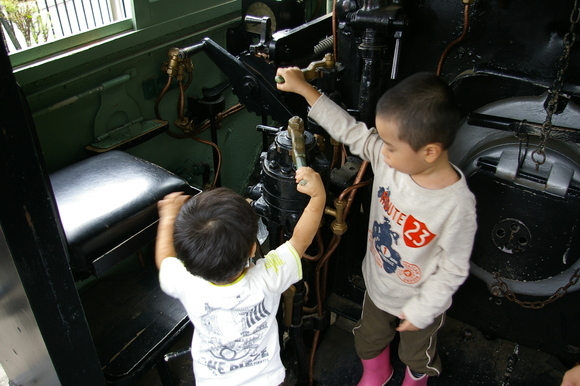 Of course both kids were really enjoying to touch operating console. 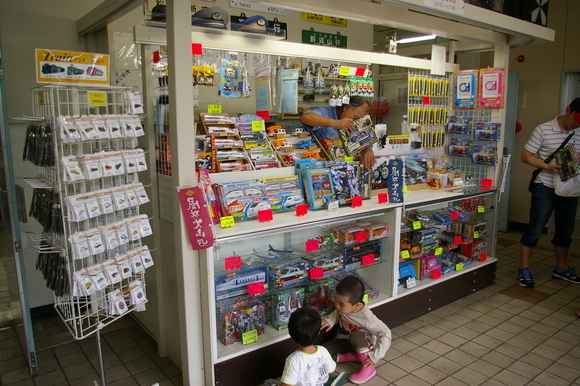 Also there are various toy trains for kids. 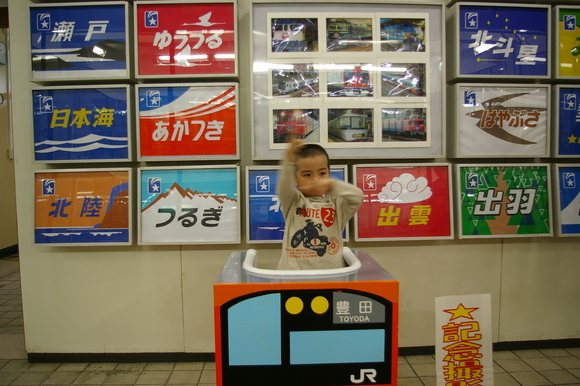 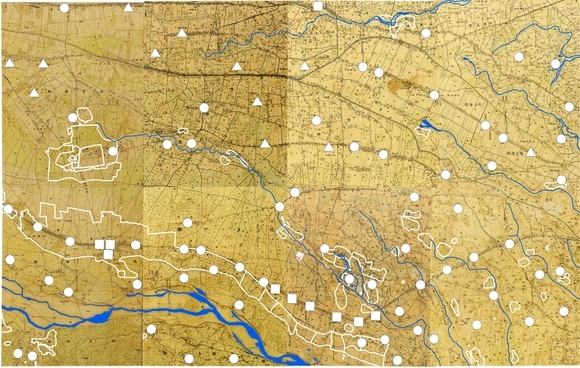 Tomo is crazy about 'Thomas the Engine' (photos#2-3). 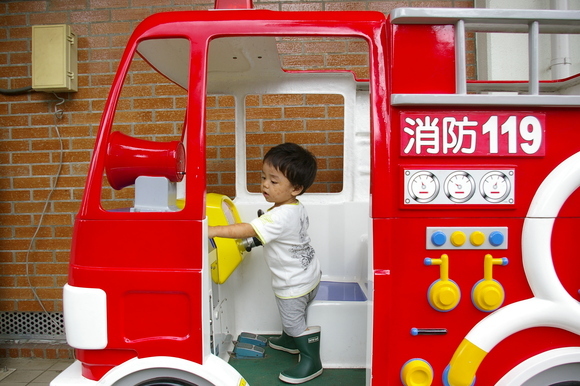 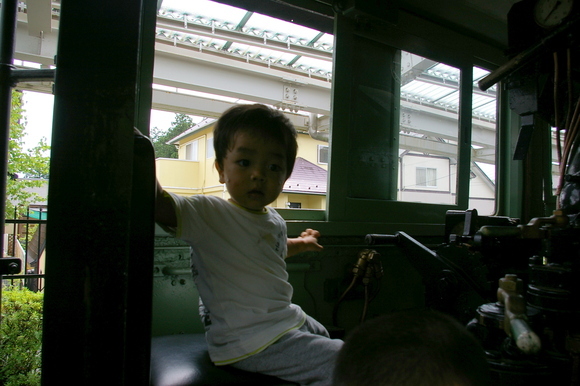 They enjoyed another toy trains (photos#9-10,15) and toy fire engine(photo#16). 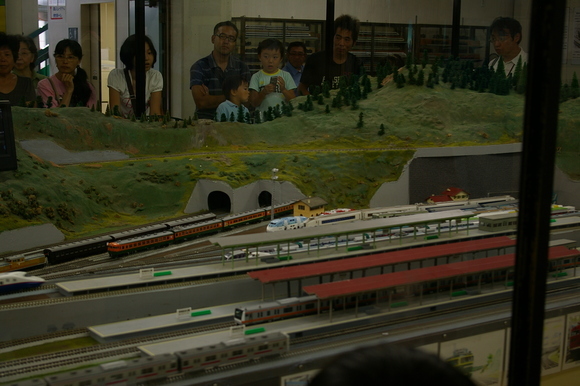 Then we saw HO-scale diorama (photo#11) and taking memorial photos(#12-13,17). 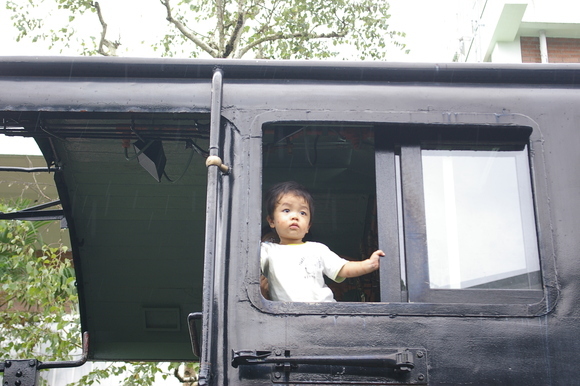 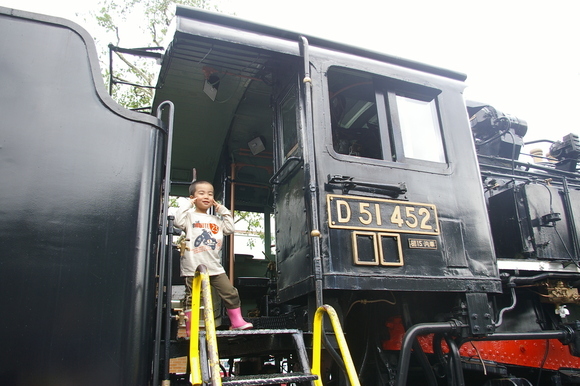 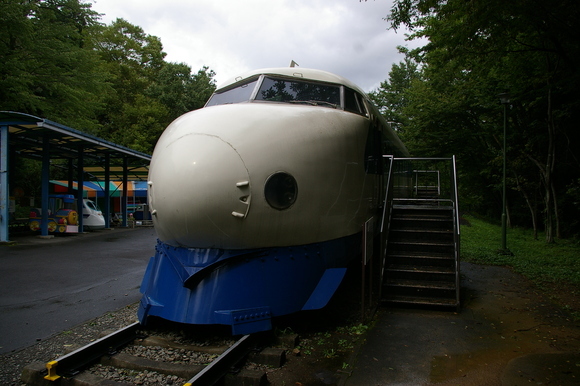 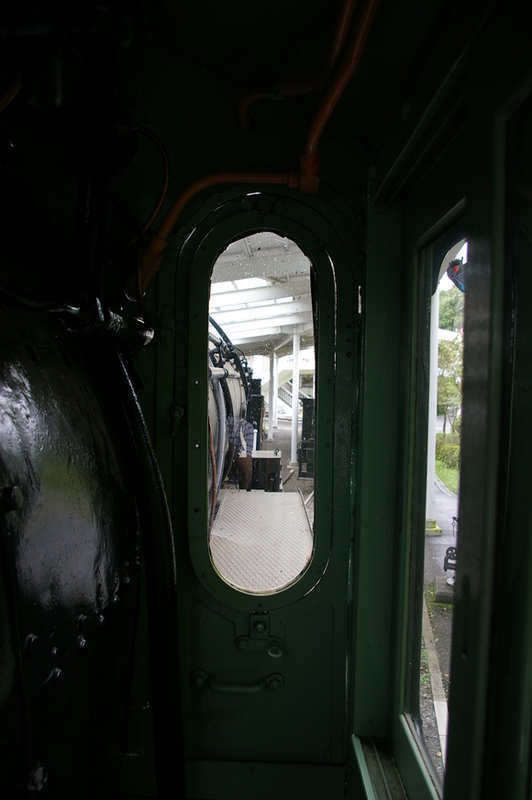 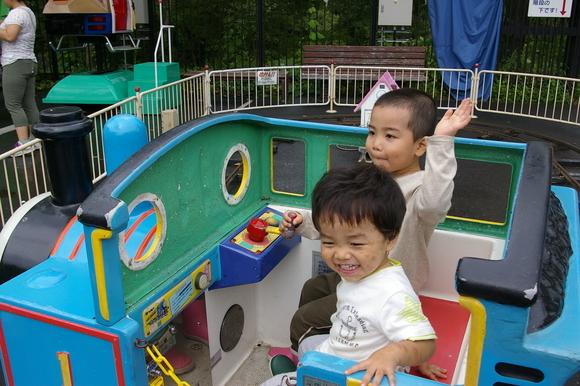 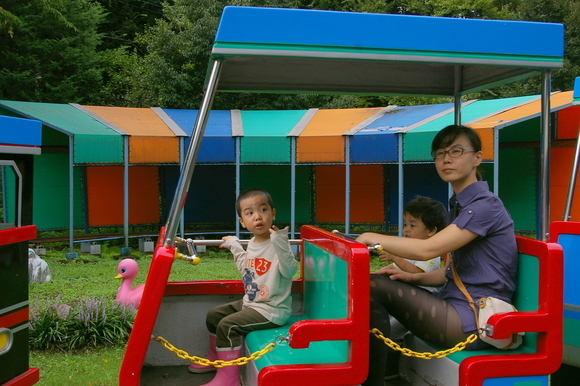 On 4,September, we were coming to Oume Railway Park. 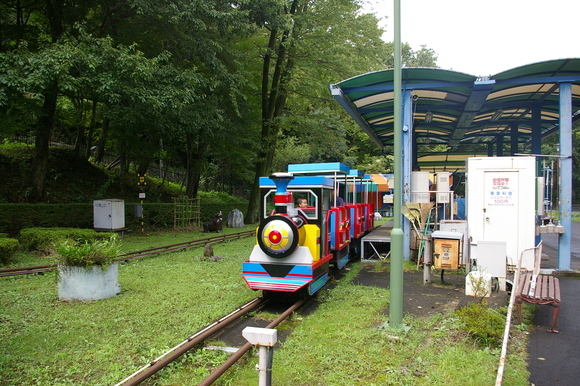 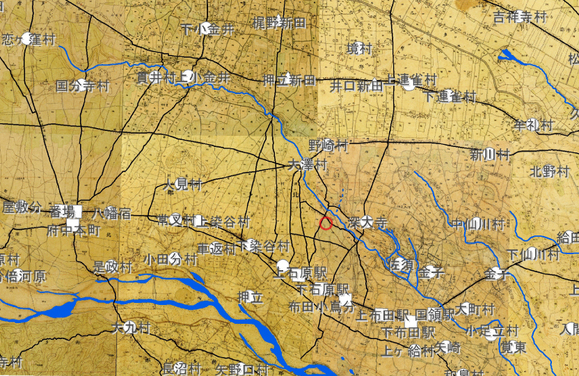 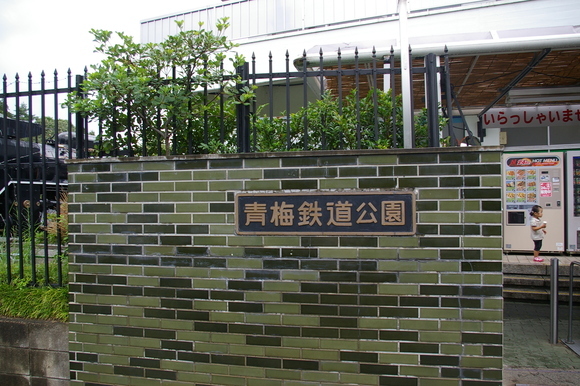 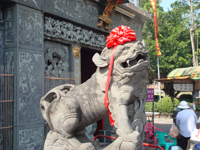 The Park was established by former Japan National Railway and now is succeeded to JR-East Company. 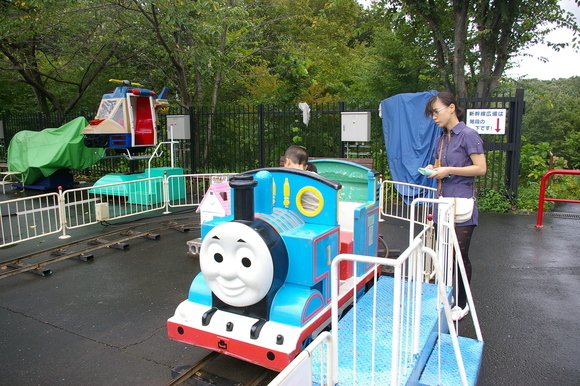 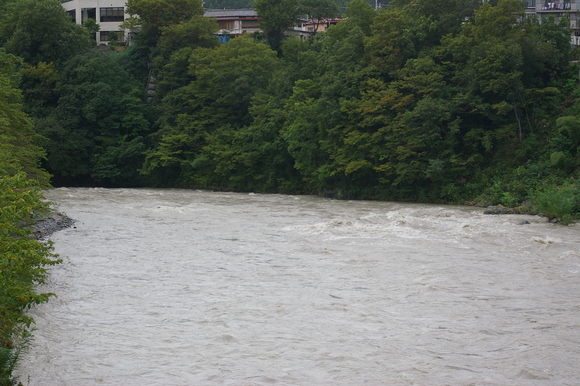 The Park is about 1h 20min from central Tokyo by train (photo#1). 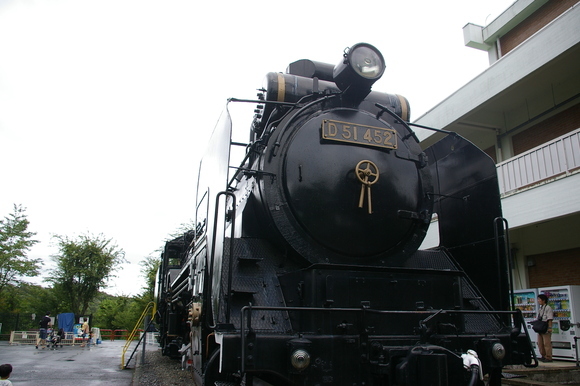 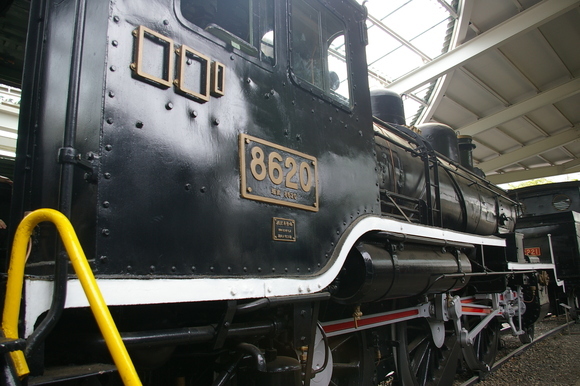 There are 8 Steam Locomotives (photos #2,#6,#14). 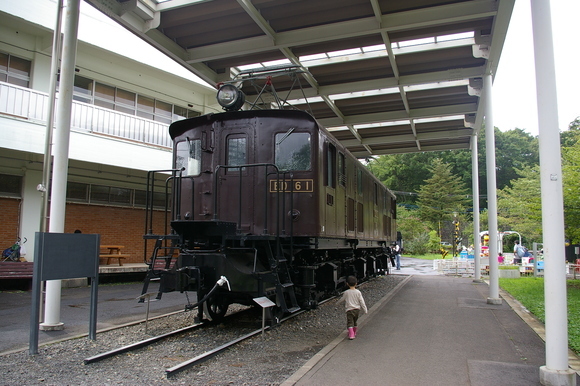 Nowadays SL is retired from Japanese railway system, only a few are operated for tourism. 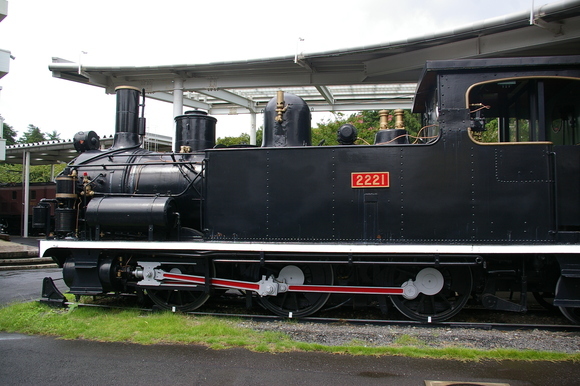 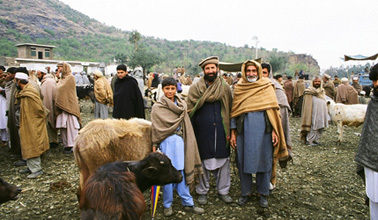 However SL is very popular as symbol of old good days. 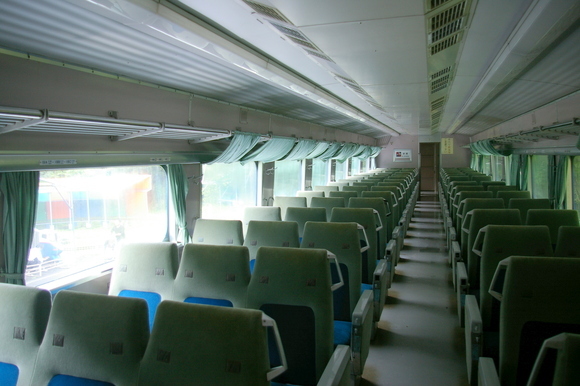 There is not only trains but also railway facilities. 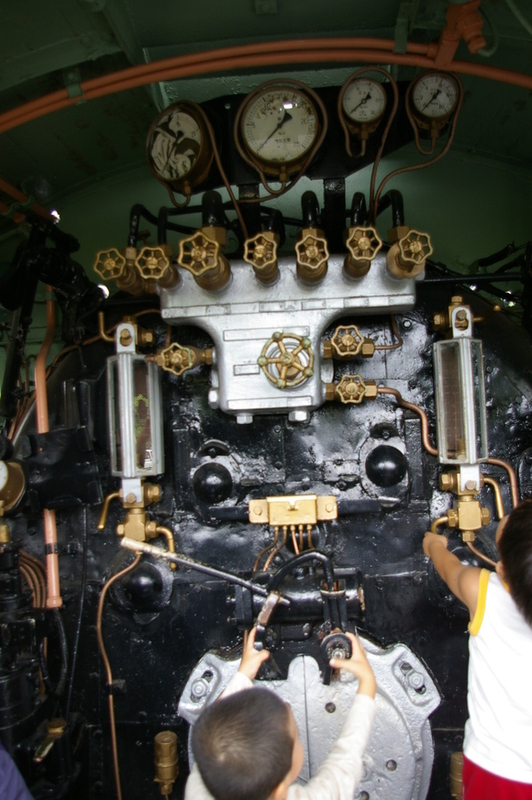 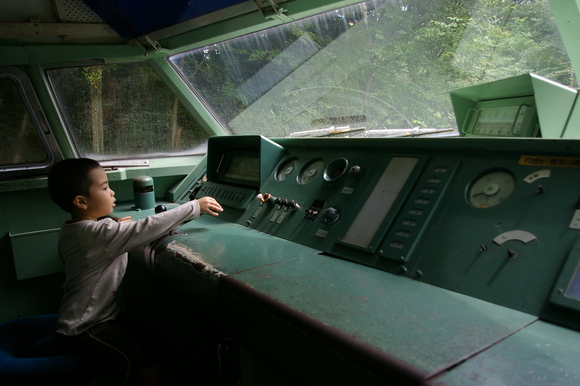 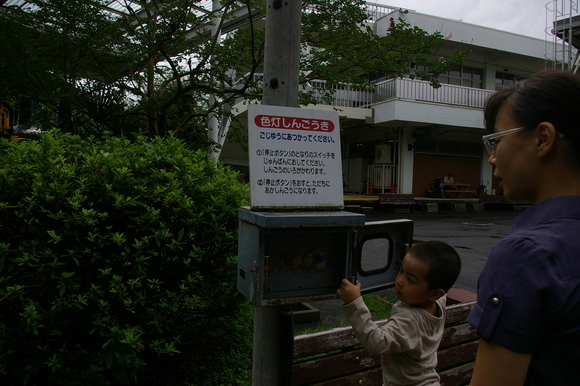 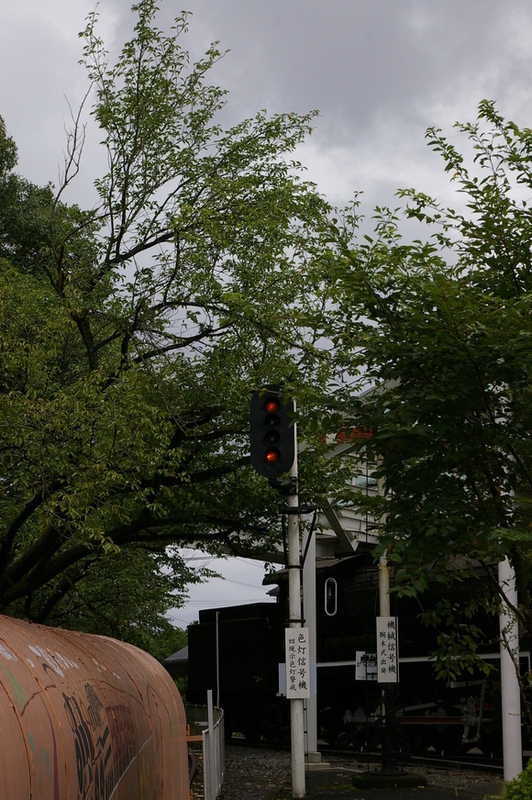 Here Aki tries to operate railway signal system (photos#12-13).